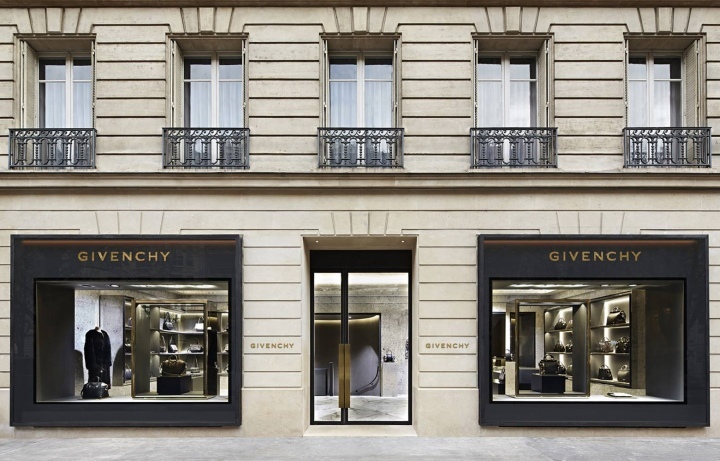 GIVENCHY store at Avenue Montaigne in Paris, France. 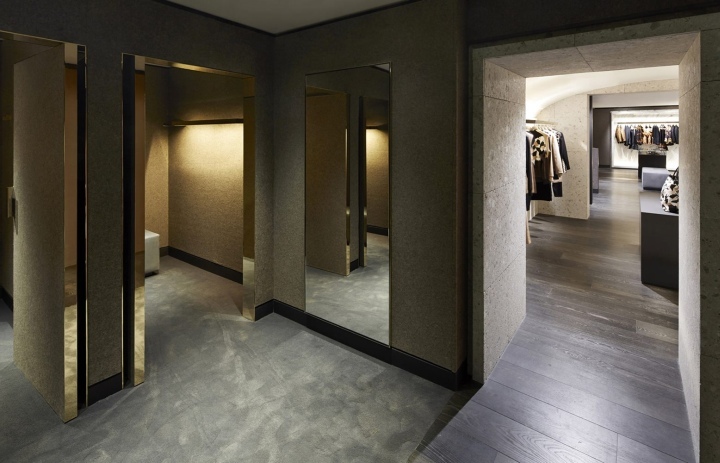 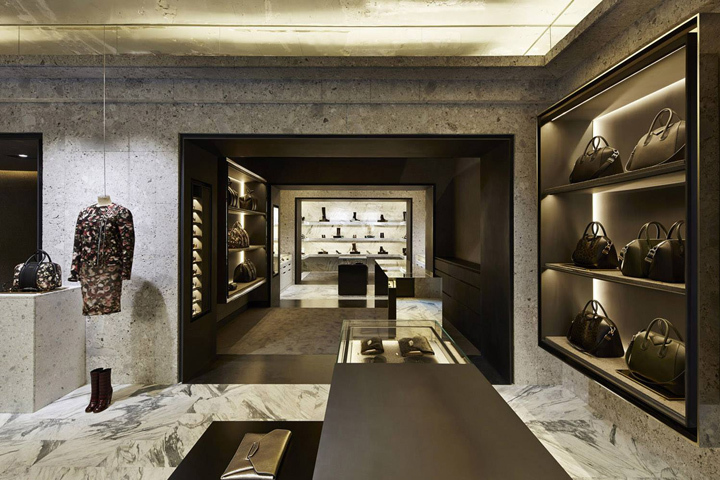 The 4,000 square-foot flagship store on Avenue Montaigne in Paris. 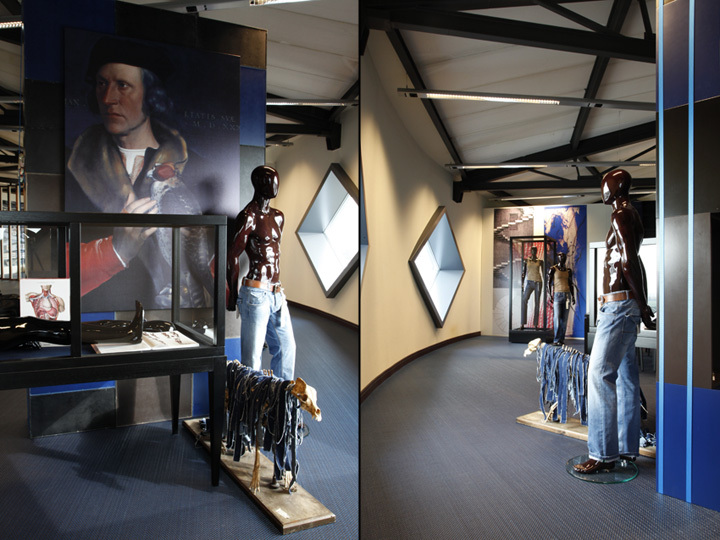 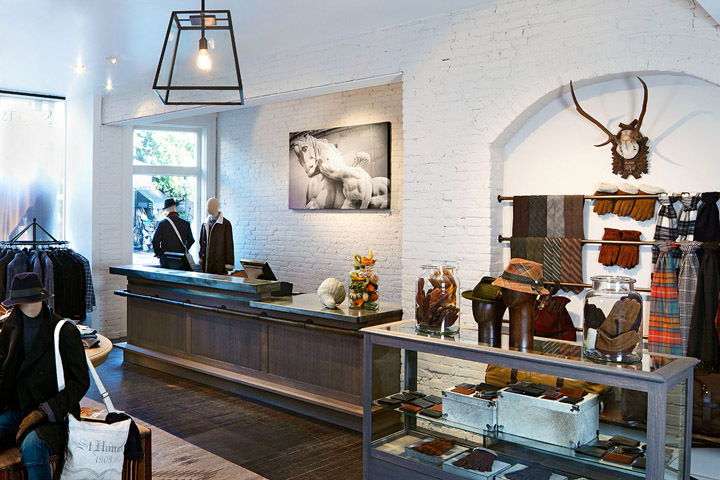 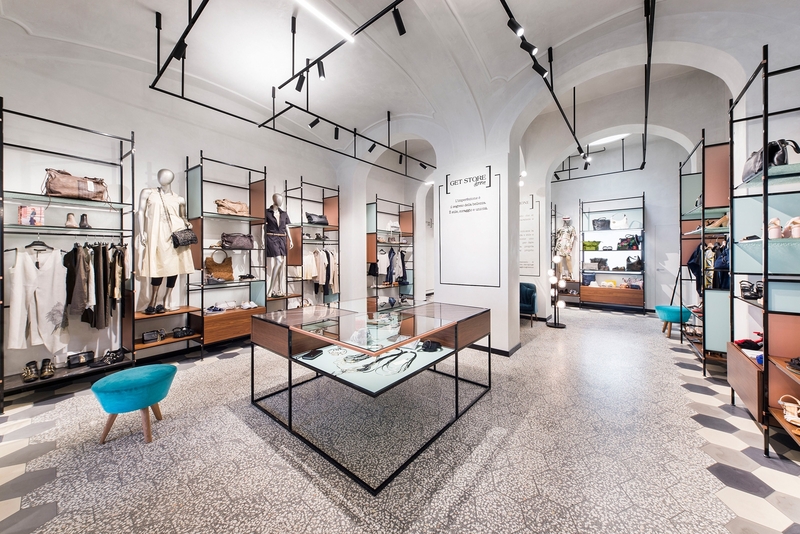 The retail space is dedicated to womenswear. 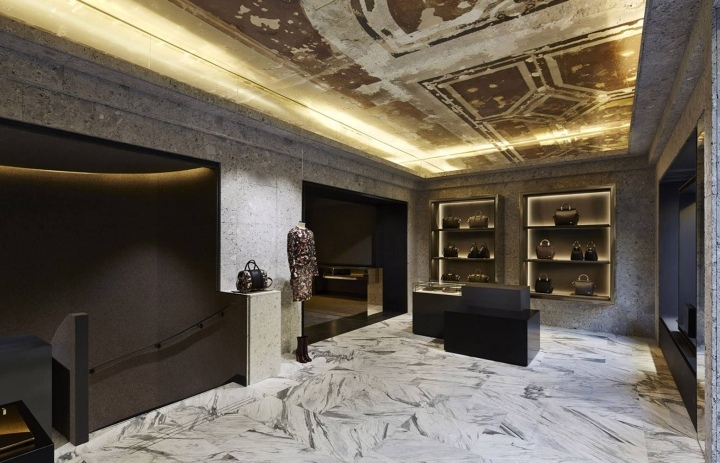 While the pristine exterior is like any other luxury shop, the dark wooden and marble floors and gray lava stone walls of the interior stay true to Givenchy’s darker, warrior-like brand aesthetic. 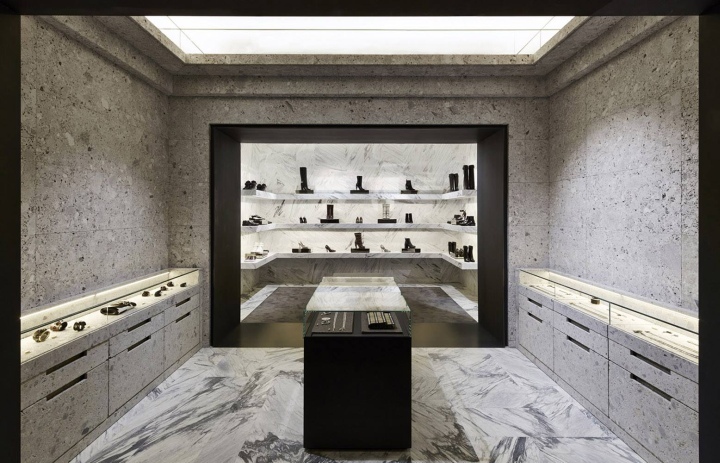 French interior designer Joseph Dirand worked with creative director Riccardo Tisci to give a nod to Hubert de Givenchy’s original black box packaging used in the brand’s early days. 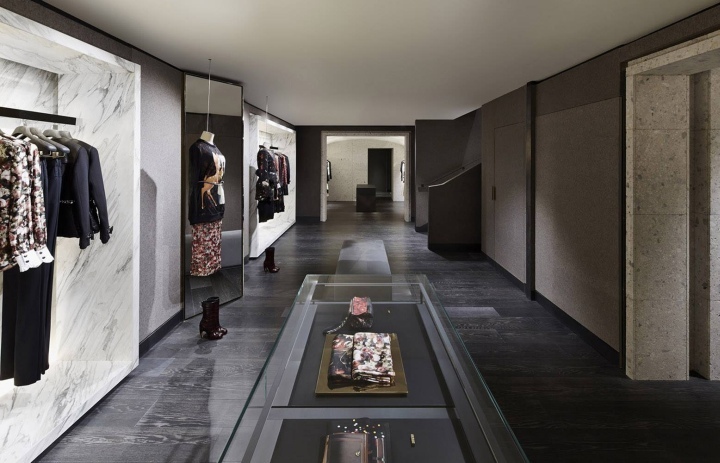 This is one of the first of Givenchy’s army of stores to come, with the new CEO, Sebastian Suhl, in plans to open 26 more boutiques globally by 2015.